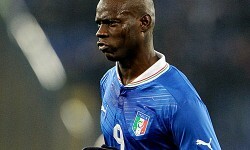 Home » Football » Internationals » Euro 2012 » Spain v Italy – Win a completely free £50 bet! After 30 matches and 72 goals, Euro 2012 boils down to Sunday’s final between Spain and Italy at the Olympic Stadium in Kiev. To mark the occasion, we’re giving you the chance to win a completely free £50 bet by guessing the minute of the final’s first normal time goal. The good news is that, after the previous two games of the tournament had produced 0-0 draws, Italy’s performance in their 2-1 win over Germany suggests goals should be on the agenda on Sunday. 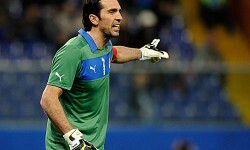 For while the Azzurri carved out plenty of opportunities in attack, they also looked suspect at the back. So if Sunday’s game follows the same pattern as Thursday’s semi-final, there should be plenty of goalmouth action at both ends of the pitch. But to make things even more interesting, why not enter our £50 free bet competition? The person who predicts the minute of the first normal time goal in this year’s Euro 2012 final – or, if nobody gets it exactly right, the entrant who goes closest – will have a £50 free bet credited to their account. No deposit is required – all you need to do is send your name, bwin username and the exact minute you think the first goal will be scored in Spain v Italy to ukcompetitions@bwin.org. If you’re not a bwin member yet, you can register here now. In the event that more than one person guesses the correct time/goes closest, then all successful entries will be put into a hat. Up to three winners will then be chosen at random and each of those people will have their account credited with a £50 free bet. – Entries must be received by 19:44 BST on Sunday 1 July 2012. Entries received after this time will not be accepted. – Participants must be over 18 years old and have a valid, cashier-registered bwin player account (if you are new to bwin, you can register here). – Only one entry per person, per household. Participants who submit more than one entry will be disqualified from the competition. – Where more than one participant guesses the correct minute of the first goal, the names of those participants will be placed in a hat along with all other successful participants and a maximum of three (3) winners will be drawn at random, who will all receive the £50 free bet. – Guesses must be for normal time only (1st minute to 90th minute). Any entries predicting a first goal in injury time after 90 minutes (91st minute and above) will not be accepted, nor will predictions of a first goal in extra time. In the event of a 0-0 draw after 90 minutes, there will be no winner of the £50 free bet. – In the event that no-one correctly predicts the first goal time, the winner(s) will be the person(s) guessing closest to this time. – Winners will be notified before 23:59 BST on Monday 9 July 2012. – The £50 free bet prize will be automatically credited to the account of the winner(s). – This prize is non-transferable and is subject to the minimum bonus cash-out requirements. The £50 free bet must be wagered three times fully before it can be withdrawn from a player account. – By taking part in this promotion, you agree to these Specific Promotional Terms and Conditions and the bwin player Terms and Conditions.